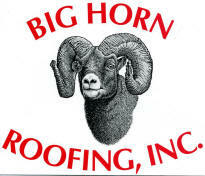 Big Horn Roofing, Inc. is an approved applicator for GenFlex Roofing Systems, Firestone Building Products, Stevens Roofing Systems, Burkeline Roofing Systems, Fibertite Roofing Systems, and Siplast/Ipocal. We also install roof coatings form NeoGard. GenFlex Roofing Systems offers high quality membranes and components for your roofing needs. Their product line includes EPDM, TPO (thermoplastic polyolefin), and PVC products along with polyisocyanurate insulation, wood fiber cover board and roofing accessories. Big Horn Roofing is a member of the GenFlex National Advisory Council and a Winners Circle contractor with an All Star rating. Firestone Building Products offers quality membrane systems and roof components including EPDM, TPO, and PVC membrane, polyisocyanurate insulation, traffic top wood fiber cover board and roofing accessories. Big Horn Roofing is a Firestone Master Contractor. Providing TPO, PVC, and Hypalon Roofing Systems for commercial, industrial, institutional and specialty applications. Stevens reflective "cool roof " material can save you money. Big Horn Roofing is an Alliance Contractor for Stevens. A FiberTite Roofing System by Seaman Corporation is the most reliable, long lasting roof solution you can buy. Over 99% of the roofing systems FiberTite has installed (some over a quarter of a century old) are still performing. Their success begins with a formula that includes the highest Dupont Elvaloy KEE content in the industry. Big Horn Roofing is a member of FiberTite's Advisory Council. Burkeline Roofing Systems offers both Hypalon and TPO membrane systems. Their membranes can be installed in various ways including mechanically attached, fully adhered, and their Vac-Q-Roof system using the wind to create a vacuum which holds the roofing membrane to the underlying substrate. For more that 35 years, Siplast/Ipocal has a leader in the development and manufacture of the world's most advanced roofing and waterproofing systems. In the late 1960's, Siplast Research and Development, working in conjunction with Shell Chemical of Europe, developed SBS (styrene-butadiene-styrene) modified bitumens. They found that by properly modifying asphalt with SBS they could produce a highly durable elastomeric blend with exceptional elongation/recovery properties over a wide range of temperatures. Siplast/Ipocal offers complete roofing and waterproofing solutions that include all of the accessory components necessary to build a great system. Whether it's edge metal, roofing fasteners, or sealant, you can be assured that Siplast accessories have been designed and manufactured to work with Siplast SBS-modified membranes. Neogard, a division of Jones-Blair Company is the worlds leading producer of elastomeric coatings used in construction. Their coatings can be applied in both new construction and re-roof applications and can be used to extend the life of existing roof systems. One great application for Neogard coatings is to prolong the life of metal a metal roof and is available with up to a ten year warranty.